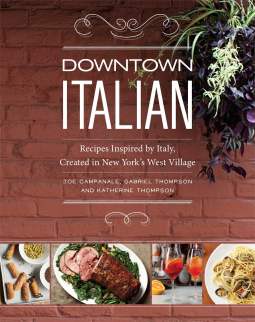 Italophile Book Reviews: Downtown Italian by Campanale, et. al. Downtown Italian by Campanale, et. al. 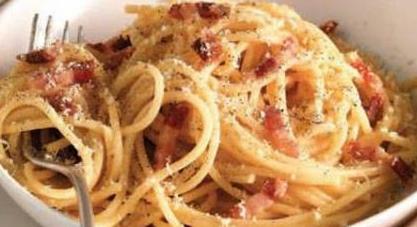 Downtown Italian's subtitle is: Recipes Inspired by Italy, Created in New York's West Village. The recipes and the wine accompaniments and the cocktail creations are by Joe Campanale, Gabriel Thompson and Katherine Thompson. The sommelier, chef, and pastry chef have interpreted traditional Italian dishes to make them their own, inspired by both Italy and America. They serve this fare regularly at four restaurants in New York City: dell'anima, L'Artusi, L'Apicio, and Anfora. The three authors are not purists; they have a very relaxed attitude to food, and working with food. The point is to work with the ingredients, treat them right, cook with love, and create something you and everyone else wants to eat right that minute. Have fun! The Notes on Wine section is interesting for Italophiles who are also Oenophiles. The sommelier mentions that there are more than 1000 indigenous grape varieties in Italy. He describes the wines in terms of their region, grape variety, producer, and the style of wine. He contributes all the creative Aperitivi, most of which have accompanying photographs. For each dish in the book, he suggests an accompanying wine. 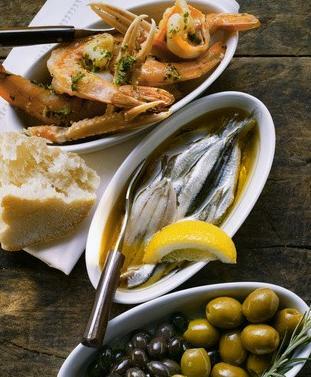 There are lots of unusual Antipasti, and many salads, which are not a strength in traditional Italian cooking. The Pasta section offers a wide variety of meat ragus and sauces, which seem quite North African. 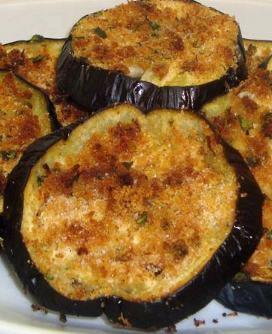 The Secondi are solid, do-able dishes of fish or meat, that seem like satisfying, not fussy, dishes. Contorni is the shortest section, but each dish comes with a suggested pairing with a main dish. The Dolci are quite work involved, and very sweet compared to their Italian inspirations, so they are more for an American palate. There is no recipe list at the front of the book. The recipe names appear only in the Index, which includes all the ingredients and instructions. Three of the most inventive young restaurateurs in New York's vibrant East and West Villages present 100 contemporary Italian-inspired cocktails, antipasti, pastas, main courses and desserts—made approachable for the home cook. Amid the cobblestoned streets and picturesque brownstones of New York's charming West Village, three dynamic young restaurateurs are creating some of the most inventive and delicious Italian-inspired cuisine in a city world-famous for its Italian food. Now the drinks and dishes that have inspired fanatical loyalty among customers of dell'anima, L'Artusi, L'Apicio and Anfora—including Charred Octopus with Chicories, Impromptu Tiramisu, and a sparking Roasted Orange Negroni Sbagliato—are accessible to home cooks in the first cookbook from executive chef Gabriel Thompson, pastry chef Katherine Thompson, and beverage director Joe Campanale. Downtown Italian is published by Andrews McMeel Publishing. If you are going to be in New York City, and you wish to visit one of the restaurants run by the authors, visit the online booking site for reservations. Here is the link to the page on the site that tells you a bit about the restaurants.